24 Mar Board of Directors – Timothy R. Smith, M.D., R.Ph., F.A.C.P. Mercy Health Research is the research institute of Mercy Medical Group, a large not-for-profit Primary Care Organization in St. Louis, Missouri. Dr. Timothy R. Smith brings a background in Pharmacology and Internal Medicine to his role as Medical Director of the center, which includes the Ryan Headache Center. Dr. Smith has more recently (2010) been named Vice President of Research for the Sisters of Mercy Healthy System, the eighth largest private health care system in the country. Originally from Mississippi, Dr. Smith received his undergraduate degree from the University of Mississippi School of Pharmacy in 1983. After 2 years of work in a community pharmacy, he went back to “Ole Miss” and received his Doctor of Medicine degree in 1989. Dr. Smith completed a residency in Internal Medicine at St. John’s Mercy Medical Center, St. Louis, in 1992 and received his Board Certification that same year. He also holds a Certificate of Added Qualification in Headache Management, is credentialed in Pain Management, and is certified as a Clinical Research Investigator by the Association of Clinical Research Professionals. After being in the practice of Internal Medicine with Mercy Medical Group of five years, Dr. Smith began to pursue his interest in headache research and education. He was involved in Mercy’s addition of the Ryan Headache Center and has been the Medical Director of the clinic since 1997. Also, prior to being promoted to Vice President of Research, Smith fulfilled administrative duties as Director of Clinical Research for Mercy Health Research, from 1997 to 2010. His academic appointments include Clinical Instructor of Medicine at Washington University School of Medicine in St. Louis, Clinical Instructor of Pharmacy Practice for St. Louis College of Pharmacy in St. Louis, and Clinical Affiliate Faculty for the Southern Illinois University School of Pharmacy in Edwardsville, IL. Dr. Smith has been the principal investigator for over 200 clinical trials and original research projects in headache and chronic pain. He has a special interest in patient and physician education issues that relate to treatment of headache in Primary Care. An advisor to research organizations, educational foundations, and pharmaceutical corporations, Dr. Smith is a frequent lecturer on headache topics on a national level. In June 2000, he received the prestigious Kaplan Award from the American Headache Society. This award is given each year to the author of the best original research abstract on Chronic Headache. 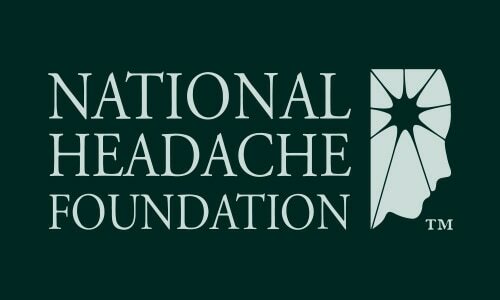 The National Headache Foundation selected Dr. Smith for the NHF Lectureship Award in February, 2001. Also, in April, 2001, Dr. Smith received the Migraine Innovators Award at the 1st Annual Migraine innovators Meeting in Venice, Italy, for his scientific poster, “Influence of Primary Practice Characteristics on Migraine Diagnosis”. June 2001, saw Dr. Smith advanced to Fellow status of the American Headache Society, that organization’s highest honor. In 2002, Dr. Smith was the co-recipient of the Kaplan award from the American Headache Society, making him a two-time winner of that award. Furthermore, Smith was elected Fellow of the American College of Physicians in 2004. Dr. Smith was awarded an unrestricted research grant to study the implementation of an education-based disease management program for migraine in primary care, in 2005. Dr. Smith is a member of the American Headache Society, the National Headache Foundation, the American Council for Headache Education, the American College of Physicians, the International Headache Society, the American Academy of Pain Management, the Association of Clinical Research Professionals, and the Missouri State Medical Association. He is a past recipient of the Virginia Stancil Tolbert Award, the F.A. Hunt Award, and the Physicians Recognition Award. He lives in St. Louis County, Missouri with his wife and four children.